Would you pay to see Regina Daniels in a sleek red Ferrari? No, it's not a movie! Regina Daniels really drives a Ferrari, but is the vehicle hers? Check the information here! Not surprisingly, teen actress and fast becoming one of Nollywood’s most controversial performers, Regina Daniels is again under the media searchlight. 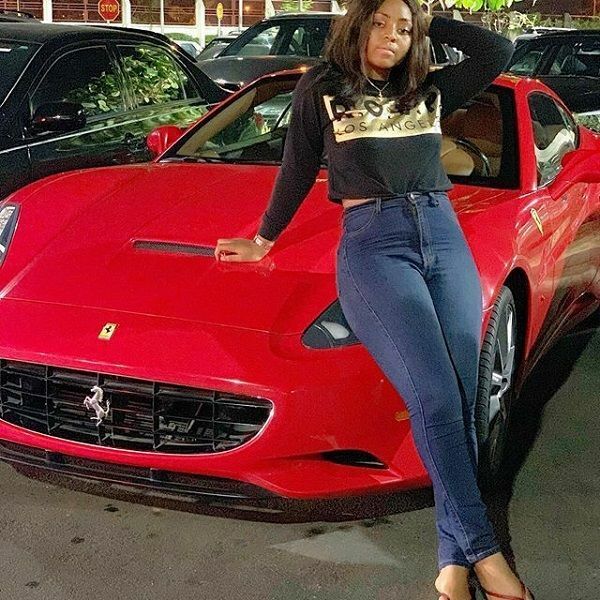 The actress who has raised all kinds of reactions following repeated appearances on gossip blogs, days ago posted a picture and a video of herself on IG, driving a flashy Ferrari around the streets of Abuja. As seen in the video, Daniels seems to be having fun as she can be seen enjoying the ride in the bright red Ferrari and blasting loud music from the car’s sound system. Judging by both video and picture the actress appears to be in Transcorp Hilton Hotel area in Abuja at the time. Of course, Regina Daniel has in the past acquired and driven expensive automobiles, so we are not at all surprised to see her driving this very expensive, high performance vehicle. The only question is: who owns this Ferrari? 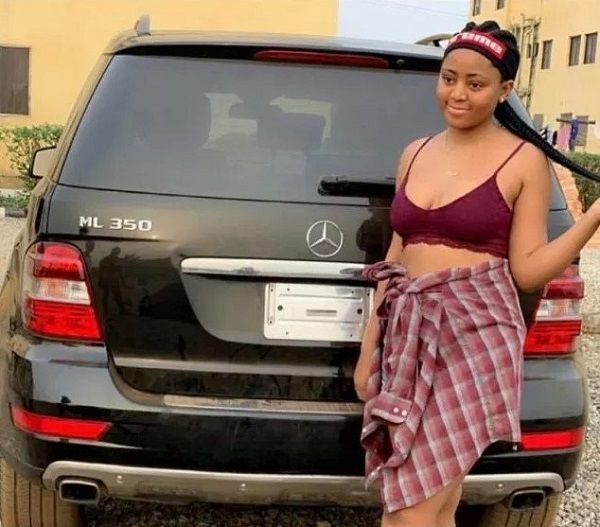 Does it belong to the actress or a certain billionaire politician we keep hearing about in connection with Regina Daniels? Last week, after photos of Daniels boarding a private jet in Abuja surfaced online, posted by the actress herself, local tabloids began to circulate rumors of a secret marriage between the actor and a certain member of the House of Reps, alleged to be the benefactor behind Regina Daniels’ new found wealth. Reports went further to hint that the teen actress may now be the politician’s the sixth wife, with the full knowledge and support from her mother. Earlier on, Regina Daniels had bought a mansion for her mother. As at this time neither the actress nor the alleged politician has confirmed these stories. Meanwhile, the young actress made no mention if the red Ferrari was hers or was purchased by she. We can't say the exact model of Ferrari the actress was riding but it's quite certain that Ferrari prices go from $200,000 and above. That is about ₦72 million at least.